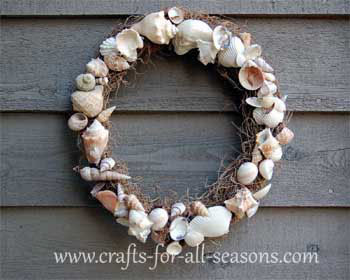 This seashell wreath is the perfect front door decoration for the summertime, or for any beach house. 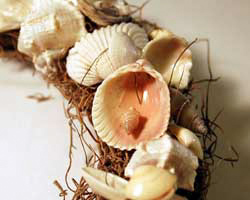 This is a wonderful craft to use all the seashells you may have collected on your last vacation. If you don't get to go shell collecting very often, you can also buy seashells at the craft store, but they may only carry them in stock during the summer months. 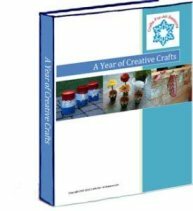 This craft is very simple to put together, and all the directions follow. 1. 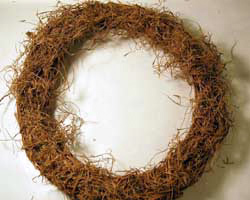 Begin by applying hot glue liberally all over the surface of the grapevine wreath. 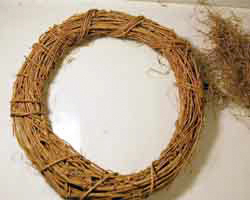 Only apply to about one quarter of the wreath at a time, so you have enough time before the glue dries. Then, add on some Spanish moss on top of the glue. Just scrunch it on, this will be the background for the shells to lie on. 2. Next, begin to glue on the seashells. Place a good amount of hot glue on one side of each shell. 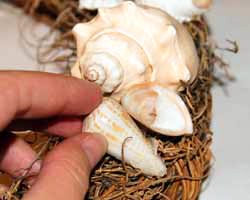 Arrange the shells so that some slightly overlap, intermingling different sizes and shapes. 3. 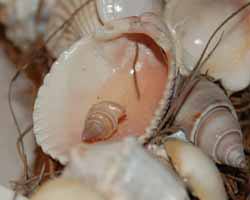 For a more natural look, also place some shells upside down (like cockle shells). 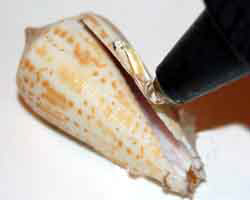 If you have a tiny shell, you can glue it inside of the cockle shell, as shown. This makes the final result look natural, as if you stumbled upon a pile of shells on the beach. 4. Once the seashells are all glued on, the seashell wreath is ready to hang. 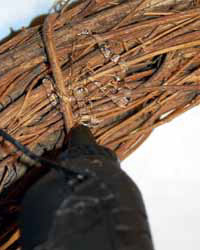 Add a wire on the back of the grapevine wreath for hanging. Alternatively, the wreath can also be used as a beautiful centerpiece for the dinner table. Try placing a few candles in the middle of the wreath for a warm effect.